DISA Job Circular 2019 has been published by the authority. It’s a huge job circular also attractive. A huge number of people will be recruit DISA NGO. This institute is being develop day by day. DISA contribute their work with other institute. DISA provide their service for helpless people. So that they can develop their economic condition. This process is too important for the rural society. To get DISA Job Circular 2019 related information, you can visit our site that is jobs.lekhaporabd.com . Development Initiative for Social Advancement, known as DISA, was established as a socio-economic development organization in 1993. DISA has been working for the rural people, especially women and children of the poor households of Bangladesh with the objectives of poverty alleviation, awareness building, social violence reduction and empowerment of women to uplift their socio-economic status. During its long and glorious 23 years journey, it has overcome many challenges and achieved many successes; where the main strength was its people: members, beneficiaries, supporters, staffs and management team. However,If you want to apply for this job, you should submit your application within 15 February 2019. DISA Job Circular 2019 has been converted to an image file,so that everyone can read easily or download this job circular. 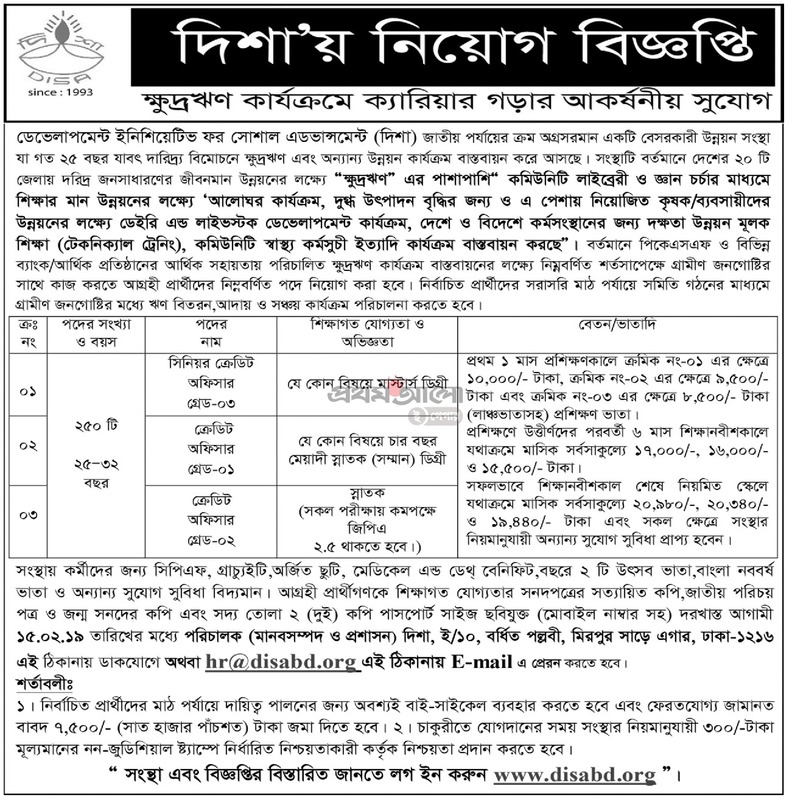 DISA Job Circular 2019 has been given bellow.